With presidential primary season in full swing, races are popping up in states all over the continental U.S., but one often forgotten state where politics is concerned is the state of Hawaii. It's so forgotten that people like Donald Trump forget that President Obama was born in the country when he revealed his Hawaiian birth certificate. (Zing!) But on a serious note, the Hawaii Republican caucuses are approaching and will occur on Tuesday, March 8 (Democratic caucuses don't happen until March 26), which leads into the pressing question: are the Hawaii caucuses winner take all or not? The answer? No, they aren't, but the reason makes a great deal of sense and is actually quite important. It is useful to know that none of the races this year between March 1 and March 15 are winner-take-all races. This is done to make the primary season as fair as possible. For example, rules established by the Democratic and Republican Party have sought to avoid front-loading — or putting too many primaries too early on in the calendar — because it gives early presidential leaders an advantage as many states vote during a candidate's period of momentum or for candidates with bigger names and more recognition. Additionally, many states distribute delegates in as proportional a manner as possible, though it isn't a strictly proportional distribution of delegates. A Democrat must secure at least 15 percent of the popular vote to score any delegates at all. Republicans don't have a set threshold as Democrats do, but individual states are allowed to set one as high as 20 percent. Most states have done so. This also makes the absence of winner-take-all a big deal because one strong candidate, for example, is apt to lose any chance at delegates even after securing 15 or 20 percent of the popular vote. 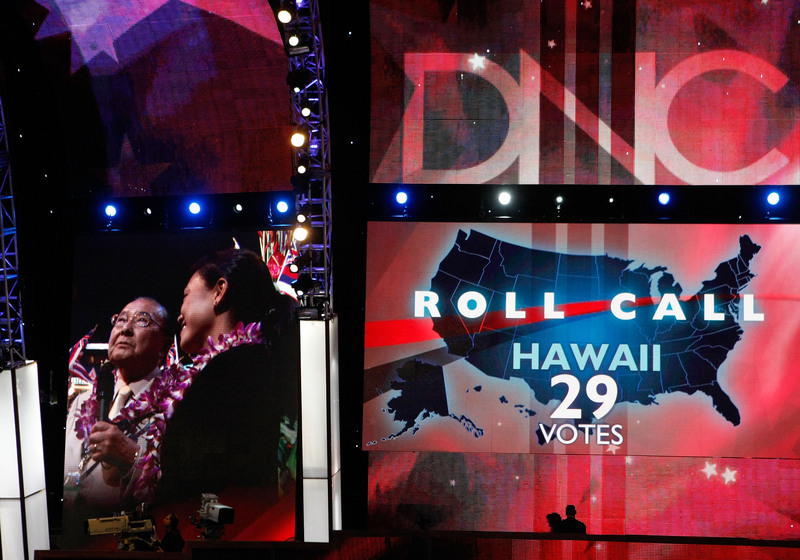 In the case of Hawaii, the state will send 19 delegates to the Republican National Convention, and there is no threshold at either the state or congressional district level, so delegates are awarded based on popular vote. Unfortunately for the Aloha State, the small number of delegates they carry isn't getting them much attention from the candidates. No Republican candidates have yet traveled to the state because the stakes are simply higher in continental states with more delegates. Would front-loading or a threshold in this case detrimentally affect the presidential race for any single candidate? Probably not, unless it were later in the race and it was down to a small number of delegates — and that is a rare occasion. At any rate, the race is getting closer to the general election with each passing day, so don't discount Hawaii just yet — the state could surprise those candidates who avoid the islands while seeking more delegates when they least expect it.